You can get the best of living experience when you are in the US. This country has the most enviable living standards in the world for which everyone aspires. This is the country, where high-class infrastructure exists. When getting a US green card is not a problem? 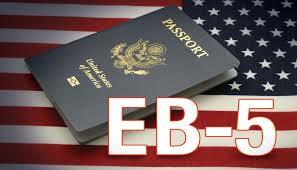 The case of EB2 visa arises when you have received labor certification. This kind of labor certification requires getting proved by the employer that the non-US labor whom you are getting to the US permanently does not have a substitute in the US. This kind of certification is only available from, US department of labor. So, if you an individual who has a professional certification/masters degree/ Ph.D. degree or a bachelors degree with 5 years of experience, you belong to this category. You should have documents proving that you have members of certain professional associations in your home country and have a legitimate professional license. This category can include doctors, teachers, architects, lawyers, and engineers etc. Once you get the labor certification, your employer can come forward and submit the green card visa application for you. A job offer from the employer hence is the mandatory condition for you to get this visa. The second category of workers those who can get permanent residency directly in the US are those who have 2 years of work experience as skilled workers in their home country. This visa requires an employer in the US willing to recruit you and call you here on a permanent stay. There is also the second category of “other workers” who might not be holding 2 years of experience, but less than it. However, they should also have a job offer from a US employer and the requisite labor certification. So, aspirants for this EB3 are allowed to apply for permanent residence in the US due to an employer here. So, for one to get the labor certification, 6 months are needed. When the employer files your green card application, there is a time required of 2-3 months for processing this application by USCIS. Now, H1B, visa, holders face some issues and challenges while getting the green card. They have to wait for 12 years due to which the only alternative is to file for, a Canada PR. In case, of an H1B visa, since no labor certification is needed, the employer cant file I140. In case your employer is willing to file a labor certification for you, he can get you an EB2 PR visa in the US. However, this labor certification is available to those for whom no substitute exists in the US. An employer will also be willing to get a labor certification for you once he needs you permanently in the US to handle his work. Canada PR is easy to get on the basis of employment in Canada, once you have a job offer with LMIA, a relevant IELTS band score and at least 3 years of experience from India. There are specific age limits also which apply to get Canada immigration. How can I change from E-2 classification to an EB-5 visa? How To Initiate a Business in US on the EB5 Visa? What Does EB-5 Exactly Imply? EB-5 US visa Canada PR, green card visa. permalink.